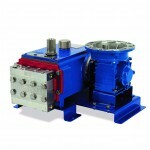 In response to customer requests, WANNER INTERNATIONAL says its Hydra-Cell G35 pumps are now available to order with Nickel Alloy (Hastelloy CW12MW) wet ends. The company says this material has excellent corrosion resistance in many chemical process environments, including hydrochloric and sulphuric acids below 52°C. Corrosion resistance is also excellent against organic acids, chloride, caustic and H2S, while the material is particularly resistant to stress corrosion cracking and localised attack. Wanner says Hydra-Cell G35 seal-less diaphragm pumps are inherently low maintenance, having no dynamic seals or packings that require attention and they are extremely energy efficient and are claimed to have the lowest cost of ownership when compared with any pump of comparable duty. 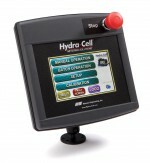 Hydra-Cell G35 pumps deliver flows up to 140 l/min at 83 Bar and 67 l/min at 100 Bar pressure.